Part 4 takes the topic from part 3 and extends it. 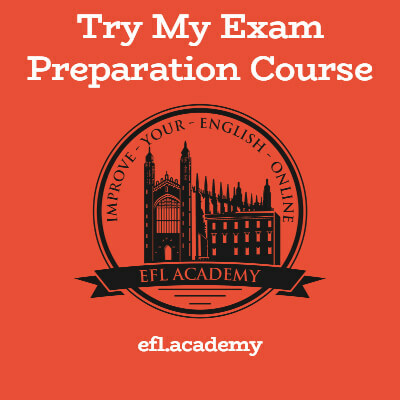 While CAE Speaking test part 3 is quite structured, you have more freedom in part 4. You can answer questions in a more natural way, like you would in everyday conversation. However, there are some strategies to keep in mind, and the questions can be quite challenging. * You should consider this part of the exam as a continuation of part 3. You don't have to reach a decision together or talk about keywords, but you do have to use the same techniques - ask your speaking partner questions, organise your responses with linking words etc. Your replies in this section can be longer than in part 3. * The biggest mistake students make in this section is thinking they should talk to the examiner. Yes, the examiner starts by asking you a question, but after you've answered it you should bring your partner into the discussion ("What do you think?"). When the discussion runs its course, the examiner will ask a new question (still on the same general theme). Remember, if you take the lead and ask your partner what he thinks, that's more speaking time for YOU. * When has a discussion run its course? It could be that on one question you both instantly agree and the conversation ends quickly. It could be that on the next question you have an interesting discussion with two or three responses each. It might be hard to judge under exam conditions, but try to be natural - if you followed these tips and made good eye contact from the very start of the CAE Speaking test, you will have good rapport with your partner by now and the discussion will be more relaxed and you'll know when to continue and when to stop. 3. Which questions should you prepare for? - Are we too obsessed with healthy eating and physical fitness nowadays? - Do you agree that experience is the best teacher? - What is the best age to retire? Clearly it would be hard to rehearse an answer for every question they might ask you! So it's more rational to think in terms of what topics frequently appear in the exam, and then sit and work on your vocabulary for those topics. ... or do you have a different opinion? ... or maybe you know more about it? While candidates tend to agree on most topics, a certain amount of disagreement is good - it makes the discussion more interesting. Disagreement also prolongs a discussion, and can be done in a friendly way. Give reasons why you are agreeing or disagreeing. Oh, what a great question! If your partner talks a bit too long, it's okay for you to politely stop the flow of words. If you have questions about the CAE speaking exam, use the contact form to send it to us. We'll answer them in this section. Q - What if I don't understand something the examiner says to me? A - You can ask them to repeat it. You can even ask them to explain a word if you don't understand it. If you do that 6 or 7 times they might think your English is not so good, but if you do it once that's totally okay. Q - I love your site! You must be a great teacher. Can we do lessons on Skype? A - I don't have time! Also, I'm very expensive. But I want to work from home more in the future so I will consider reasonable offers. Q - What is an interlocutor? It says that in my CAE coursebook. A - That's the examiner. Q - Do I need to have a British accent? Cambridge is in Britain, right? A - Cambridge is in Britain but an American accent is just fine. ANY accent is fine as long as you speak clearly and your words are understandable. That's it for the CAE Speaking test tips! Let us know in the feedback section if they were useful or if we missed anything. And good luck in your exam!